A cookie in a skillet? We admit this Internet phenom made us skeptical_ until we tried it. Unlike making a traditional batch of cookies, this treatment doesn’t require scooping, baking and cooling multiple sheets of treats; the whole thing bakes at once in a single skillet. 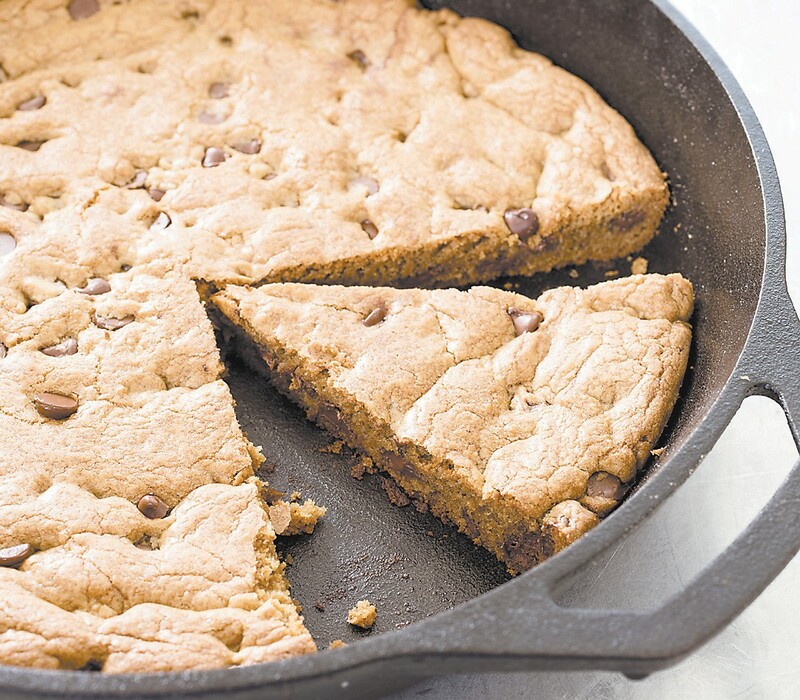 Plus, the hot bottom and tall sides of a well-seasoned castiron pan create a great crust on the cookie. And this treat can go straight from the oven to the table for a fun, hands-on dessert_ or you can slice it and serve it like a tart for a more elegant presentation. Adjust oven rack to uppermiddle position and heat oven to 375 F. Whisk flour and baking soda together in bowl. Wipe skillet clean with paper towels. Transfer dough to nowempty skillet and press into even layer with spatula. Bake until cookie is golden brown and edges are set, about 20 minutes, rotating skillet halfway through baking. Using potholders, transfer skillet to wire rack and let cookie cool for 30 minutes. Slice cookie into wedges and serve. For more recipes, cooking tips and ingredient and product reviews, visit www.americastestkitchen.com. Find more recipes like Chocolate Chip Skillet Cookie in “The Perfect Cookie.” America’s Test Kitchen provided this article to The Associated Press.